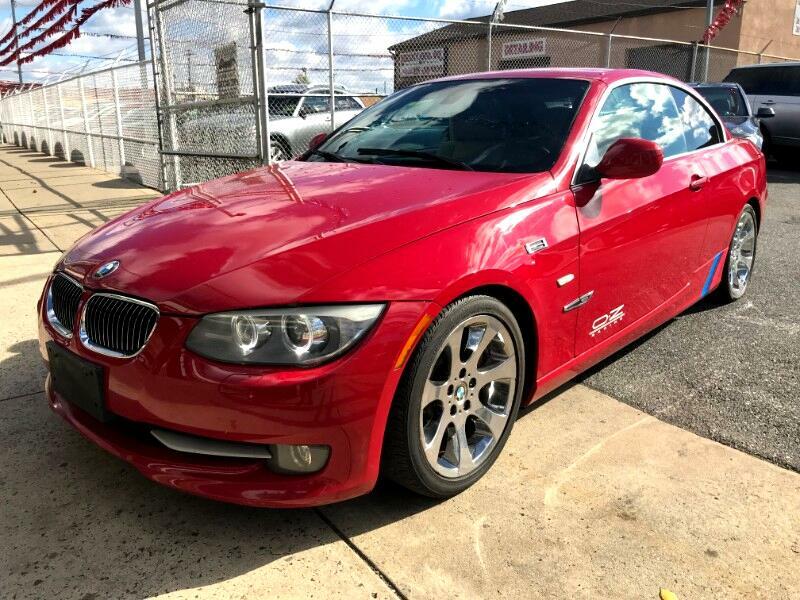 BEAUTIFUL 2011 BMW 335I CONVERTIBLE 3.0L TWIN TURBOCHARGER LOADED WITH SPORT PKG. ,MULTI-FUNCTION LEATHER WRAPPED STEERING WHEEL,PADDLE SHIFTERS, BLUETOOTH, PREMIUM SOUND SYSTEM, XENON HEADLIGHTS, LED TURN SIGNAL LIGHTS, PUSH BUTTON START, DUAL ZONE CLIMATE CONTROL, 3 STAGE HATED SEATS, 6 DISC CD CHANGER,AM/FM RADIO, AUX INPUT, ON BOARD COMPUTER, POWER DROP-TOP, POWER MIRRORS, PUSH TO START , AND MUCH MORE..........TIRES WITH ABOUT 80% TREAD LEFT ON THEM......CALL 215-288-5277.....PRICE IS BASED ON $2,000 DOWN PAYMENT,PURCHASE OF THE EXTENDED SERVICE PLAN FOR 2 YEARS AND 24,000 ADDITIONAL MILES.......TAX, TITLE, REG. DEALER FEES ARE NOT INCLUDED.